We have been providing professional process service and legal support services to legal professionals and residential clients in Colorado since 2003. We utilize the most up-to-date technology and methodology in delivering top-notch service each and every time. Our dedicated staff is well equipped to handle service of all types of legal documents, foreclosure services and postings, skip tracing, field chases, court filings, document retrieval, among other legal support services. Every process service we receive is just as important to us as it is to you. We know many of you have never had to take someone to court before and that it can be nerve wrecking. We also know you are anxious to get your designated party served as soon as possible and appreciate communication about your service of process or other type of legal service as soon as it is completed. We strive to complete our services well in advance of your court date or due date to provide you with the comfort of knowing you are prepared. We work for you! Following the completion of your service, our efficient staff will notify you with service details and then promptly email you a copy of your professionally prepared return of service created in our process serving software and place the original in the mail ASAP. We value you and your business and hope if you are happy with Aces High, you will share that with someone in need of a process server. Process serving involves getting legal documents to the designated party in compliance with local and state laws. Aces High’s passion for high standards is what is responsible for getting client’s documents to the right place at the right time. We offer more than one type of service to accommodate your needs. We attempt service in the morning, the afternoon, the evening and on weekends. We use our intuition and skills to access the best time to attempt service to speed up the delivery time. Discounts for multiple services at the same address if they are completed on the same attempt. GPS date and time stamp, and photos are included in our process service. Routine service includes unlimited attempts as long as you have a good address and someone answers the door. No mileage charge and no hidden fees. We combine your services by area in order to complete them on an average of 3-5 days. If the person being served is out of town, will not answer the door or it is a bad address we will contact you immediately for further instructions. Put a priority on your process serving needs by ordering Rush service! Need your papers served today? Our same day process service is your solution for immediate process serving needs. If you have a specific time and/or day you need your service completed, please call to schedule. A skip trace is the process we use to find people. We access databases throughout the country to find the information you need about someone in preparation for your legal case. We utilize technology and skill in tracking down people before you file your case or after we try to serve the designated party and find out they are not at the address provided. We find, sort, and analyze the information in public records on the individual and report the results back to you. Having trouble making contact with your customer or verifying the location of their collateral? Our field chase agents will help solve this problem. Also known as a "door knock" our field chases involve contacting your customer and confirming details about the address, employment, contact information, why they may be delinquent on payments, and the condition of any agreed collateral. We also perform lot inspections and vehicle inspections. Our Colorado process servers are dedicated professionals who will get the job done. We understand Colorado's rules and regulations for service of process change every year, therefore we make sure to educate ourselves with the current laws at hand in order to effectively serve papers. We are familiar with state rules and are able to serve accordingly. Let our process servers assist you with any legal support services; we will handle the legal documents and ensure that your standards are not only met but exceeded. We manage cases of any size and are ready to answer your questions about our Colorado process service. Our Parker, Colorado process servers can provide any legal service for you, your significant other or family member. We use the finest, up-to-date technology in order to meet your needs. Unlike Denver, Parker is outside of the city therefore our process servers get the job done swiftly and easily. With our top notch service, we make sure each and every process server working at our Parker location are well equipped and able to handle any type of legal services, court filings, field chases and skip tracing. 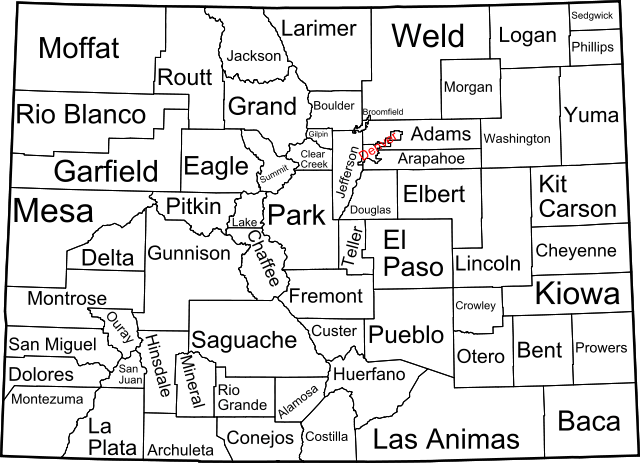 Our Aurora, Colorado office offers services to our clients in Adams County, Arapahoe County and Douglas County. Whether you are a business, attorney or individual, we provide legal support services to all who need it. Dealing with an evasive individual? Can't contact a customer or locate their collateral? Fear not, at Aces High, Inc. our process servers in Aurora will be more than happy to assist you with skip tracing and field chase. Aces High, Inc. also provides services of process to the Denver area, such as Denver County, Arapahoe County, Glendale and Holly Hills. We have process servers working in the Denver Metropolitan area most days, but despite construction and congestion, we know our way around and have an efficient process for serving papers. Denver is the center location for most law firms,courthouses and businesses, therefore we often serve subpoenas and summons for them. Ace's High process servers who work in Denver take pride in giving every client the legal service they are looking for. Aces High is a professional process service company serving the entire state of Colorado who values relationships. We offer very competitive pricing for individual jobs and discounts for clients with a volume of process service needs. Contact us today for specific pricing information. It is easy to get your documents to us. We accept your court documents via email, mail or overnight service. We send an email notification upon completion of service which includes your service details, time, date, the person served, and description. We promptly email a copy of the notarized Affidavit of Service and mail the original along with an Invoice for service ASAP. Communication is key! If we encounter any problems with your court case we will email you immediately. Questions about how service of process works? Aces High, Inc’s team of experts has provided a resource of answers to common questions asked when dealing with service of process. How long does it take to complete a service? Aces High certified process servers strive to complete your service as quickly as possible to ensure you have your Affidavit of Service in a timely manner. Regular service averages 3-7 days. Rush service is completed within two days. Same day service or by appointment is completed accordingly. Please keep in mind that these are projected time frames and that there may be unforeseen issues that interfere with them such as defendants out of town, avoiding service, bad addresses. What if the address provided turns out to be bad or we don’t know the current address of the party to be served? We can locate an address for an additional fee by performing an address check or a skip trace. How many addresses will you attempt for the service fee? We will go up to two addresses for the service fee. The addresses must be in the same general area or additional fees may occur. Do you do stakeouts or perform surveillance? Yes, we can provide this service. Please call the office to discuss your needs. How many attempts are included in the service fee? We will go up to two addresses as long as you have a good address and someone answers the door. If this turns out not to be the case, we will contact you for further instructions. Do you provide a return of service or affidavit of service? Yes. We will email it to you before placing the original in the mail. Notary is included if your state requires a notarized signature. Do I need to prepay for the services? Yes, if you are a new client. We have a Paypal button on our website for your convenience. If you are an established client we will invoice you for services. Do you advance witness fees? Yes, for established clients. If you are a new client please call the office to discuss your needs. Thank you! I hit 'gold' when I punched in those numbers in my phone and got you on the other end!! - Dorothy. © Copyright Aces High, Inc. All rights reserved.